Now that summer is pretty much here (despite Chicago's insistence on 50 degree weather) I'm excited to sit outside at a park with a giant cup of coffee and read. And read. And read. Lately I've been obsessed with immersing myself in books on type, modernism and the history of graphic design. I thought I'd share some of the things I'm reading, in case you'd like to nerd out too. Mastering Type: The Essential Guide to Typography by Denise Bosler. Aside from the gorgeous design of this book, it is a really in depth look into all aspects of type - from the history, to anatomy of a letter, parapgraphs and layout. Logo, Font & Lettering Bible by Leslie Cabarga This book provides some examples of lettering/logos and examines why they do or don't work. There also lots of different kinds of logos for inspiration. 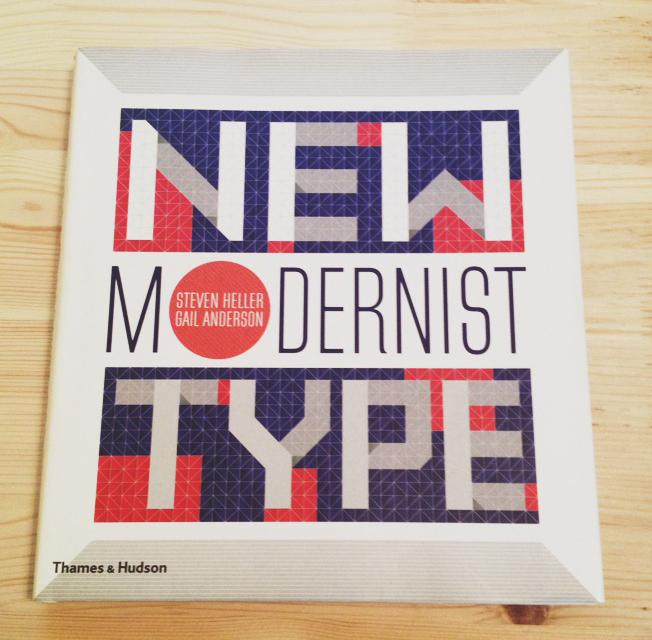 New Modernist Type by Steven Heller and Gail Anderson This book is great because it provides a lot of great examples of type combined with image. This book is less instructional than the other two, but is a great resource for looking for new ways to use type.